Human rights activist Dibyajyoti Saikia has come down heavily on the Home and Political Departments of Assam for their ‘lacklustre’ attitude in the delay in adopting the Assam Witch Hunting (Prohibition, Prevention and Protection) Bill, 2015 and making it into Act. Saikia further said that the Police Department will also be in a fix in stopping social evils like witch hunting which is so rampant in the State with regards to laws and bylaws as the new Act is yet to be implemented. He also expressed serious apprehension over the fact a woman of the village was being framed as a witch by the villagers. He assured all possible help to the family of the victim. Notably, after the husband of the victim lodged a complaint at Kamalpur police station, an awareness meet was conducted among the villagers at the initiative of Kamalpur police, Rangiya police and circle officer of Kamalpur Bedanga Talukdar. The police also warned the villagers that if any one tries to torture the victim, the law will deal with such offenders with firm hands. Human rights activist Saikia was accompanied by newly appointed officer in charge of Kamalpur police station, Mrinal Kumar Das during the visit to the victim’s family. Talking to Northeast Now, Dibyajyoti Saikia said that the Assam Witch Hunting (Prohibition, Prevention and Protection) Bill, 2015 was introduced to curb crimes committed against women under the pretext of witch hunting, but the callousness of the Home and Political Departments of the Assam Government has delayed the implementation of the Act. He urged the State Government to expedite the process of implementing the Act at the earliest. 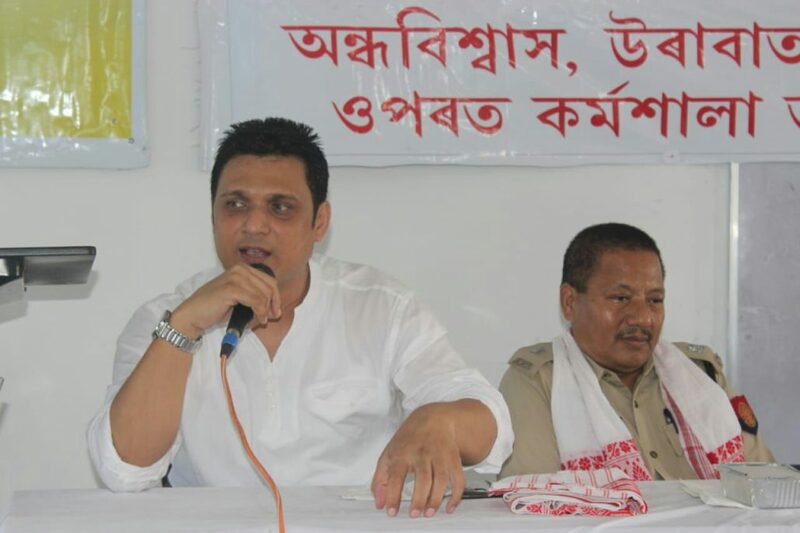 Dibyajyoti Saikia of Brothers, a Guwahati-based social organization, also demanded that the Assam Witch Hunting (Prohibition, Prevention and Protection) Act, 2015, be made public for spreading awareness among the people and allowing stakeholders to implement its provisions.